The Pagoda of Haeinsa , one of the three great pagodas of Korea, was established in A.D. 802. It is chiefly known today as the depository of the Tripitaka Koreana, over 80,000 wooden printing blocks engraved with one of the most comprehensive compilations of the Buddhist scriptures in all of Asia. 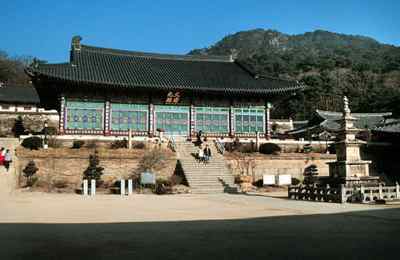 The Tripitaka Koreana was made on Ganghwado Island and later moved to Haeinsa Temple. It took 16 years to make the plates and, although they were completed in 1251, they are in perfect condition and can still be used for printing.